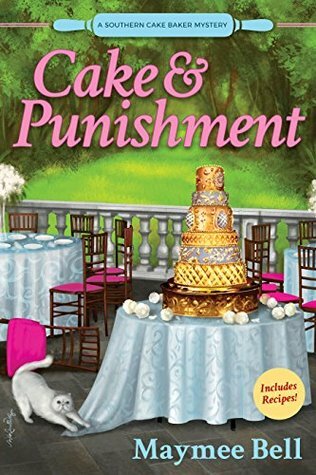 Cake and Punishment by Maymee Bell is the first book in the new cozy A Southern Cake Baker Mystery series. 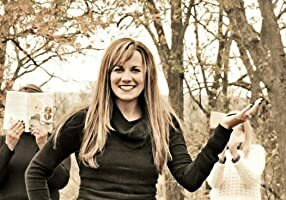 In this series Sophia Cummings has returned to her hometown of Bucolic Rumford, Kentucky from New York to nurse her broken heart with family and old friends. No sooner that Sophia arrives home though she finds that her old high school friend, Charlotte, is getting married and is without a cake baker. Since Sophia is a pastry chef back in New York Charlotte does her best to convince her to take over the job for the wedding. Just as soon as Sophia agrees to do the wedding and goes to check out the Rumford Country Club kitchen she however end up finding a bit more than pots and pans when she stumbles on the body of the chef. Since a kitchen is Sophia’s comfort zone she immediately jumps in to help point out clues at the scene when the law arrives. Cake and Punishment by Maymee Bell was a solid opener for this new cozy series infused with southern charm. The author seemed to do a good job giving it that southern vibe along with plenty of talk of mouth watering treats to set the scene. What I found a bit lacking on my side though was any real unique quirkiness to the characters to truly make the book stand out a bit more to me. I’m always looking for that bit of spark to really wow me and with this one I didn’t quite find it yet although I did enjoy the mystery. I love cozy mysteries and there are so many series to choose from. Have you tried Pies and Prejudice by Ellery Adams?